Crinkle bodre is a fabric that's bang on trend this season. 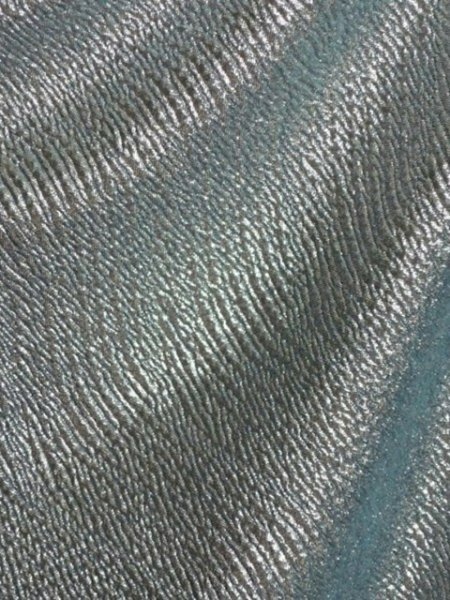 This beautiful material has a silver foil effect all over, with a subtle crinkle on a delicate teal background. 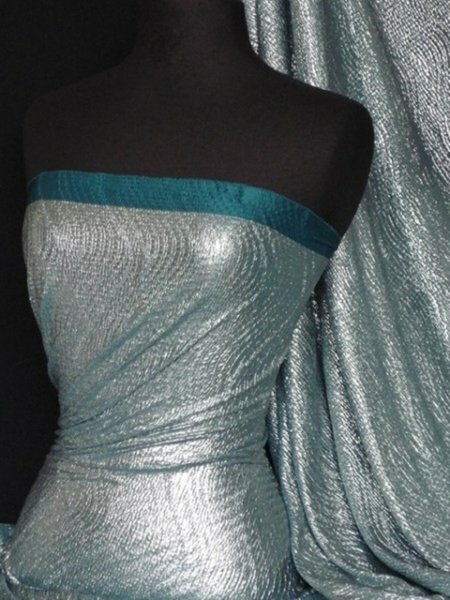 Fab for showstopping dresses, midi skirts and stage display. 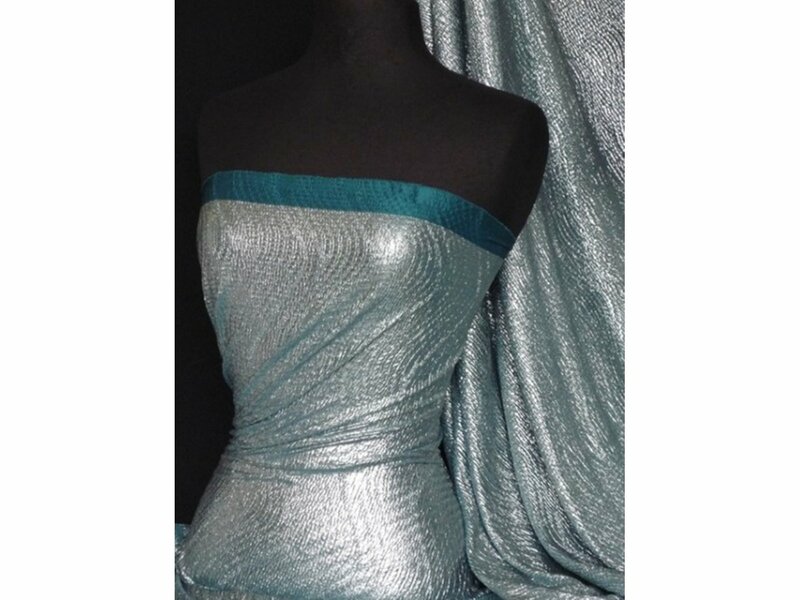 Fabric use: Excellent for dresses, skirts, stage display, costumes and much more!